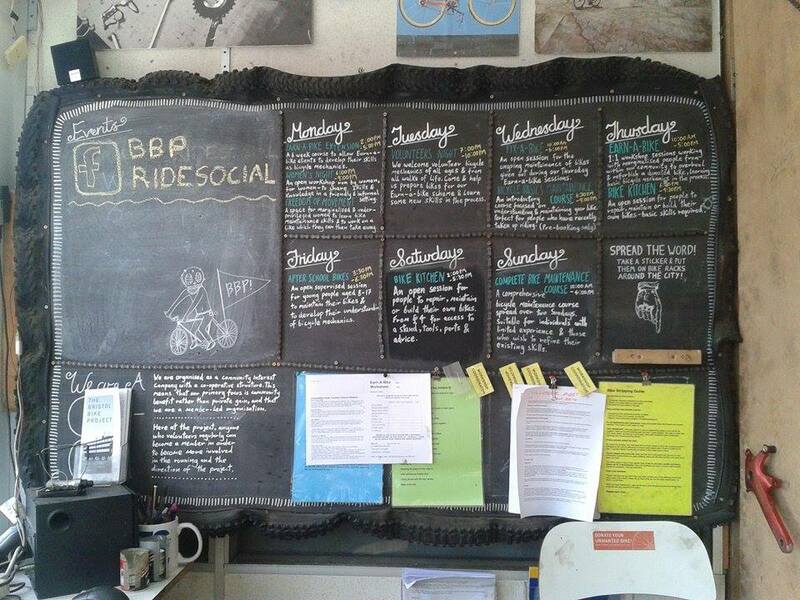 Broken Spoke Bike Co-op | Bursting out of the Oxford bubble! Bursting out of the Oxford bubble! The Broken Spoke team at the bottom of an exhilarating/terrifying fast downhill near Bath. Oxford’s a great city, but there’s a whole wide world out there, so sometimes it’s necessary to slip the surly bonds of the ring-road and get some proper miles under your wheels. The Broken Spoke team did just that at the end of April, when we cycled through the rolling hills and fields to Bristol to re-connect with the absolute legends of the Bristol Bike Project. Check out the awesome things they’re doing for cycling, and for people, in Bristol, and get inspired! 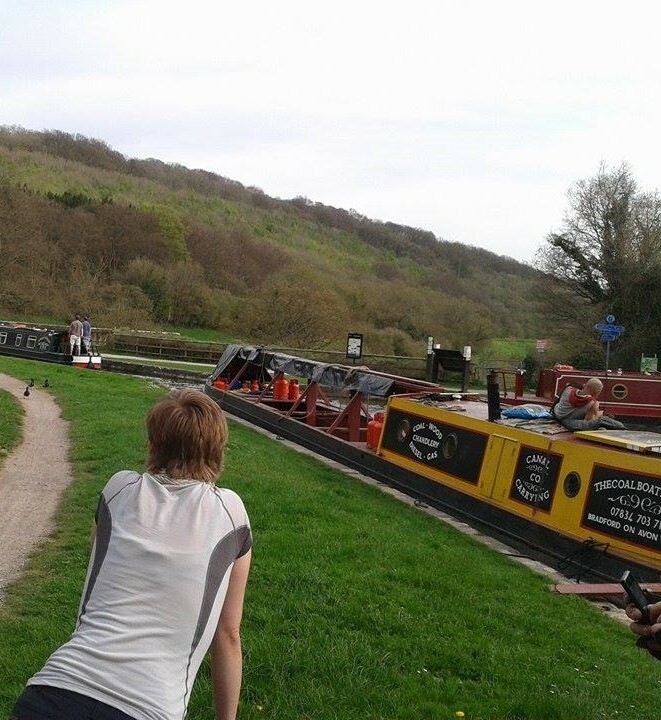 The route took us up (and, more enjoyably, down) some very steep hills, along the Kennet & Avon canal, and through the spectacular Two Tunnels Cycle Route near Bath. It was fantastic to get out and actually ride, and in such great company too – what a joy! Over a gigantic and very welcome veggie chili at the end of the day’s ride (cheers Pi and Rosie! ), we met the movers-and-shakers behind Bone Shaker magazine (you can get the latest issue at the workshop!) and Roll For The Soul community bike workshop/café. Set up in 2009, Bristol Bike Project aims to provide a valuable and empowering service for underprivileged and marginalised groups of people within the community whose lives would greatly improve through the benefit of having accessible, affordable and sustainable transportation; to provide an inclusive, non-judgmental, vibrant and supportive workshop environment for volunteers and project-users alike, from all walks of life, that encourages and promotes skill-sharing and independence, where new skills are learned in a way that is empowering for all and friendships are made; and to divert and redirect functional bicycles and their working parts from recycling and landfill. Meike at the Kennet & Avon canal. 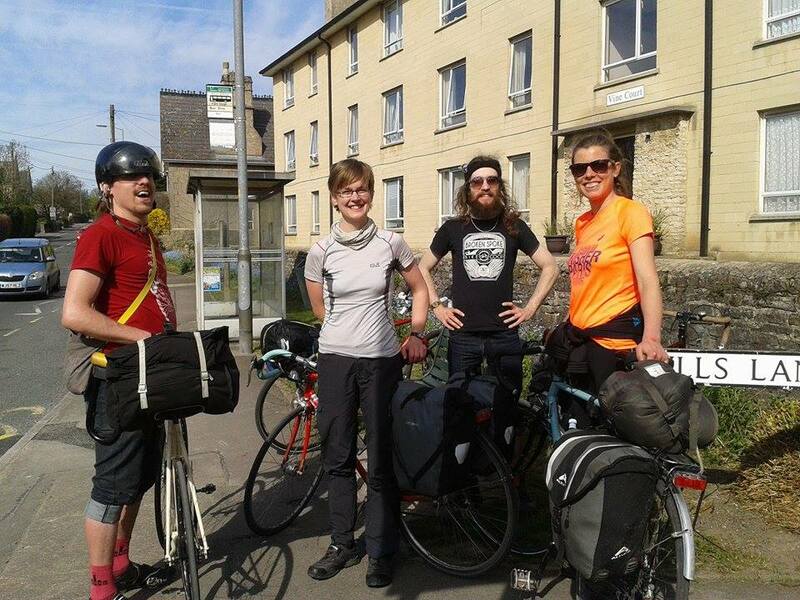 The next day, we rode in convoy through Bristol, led by Pi on his home-brewed tall-bike(! 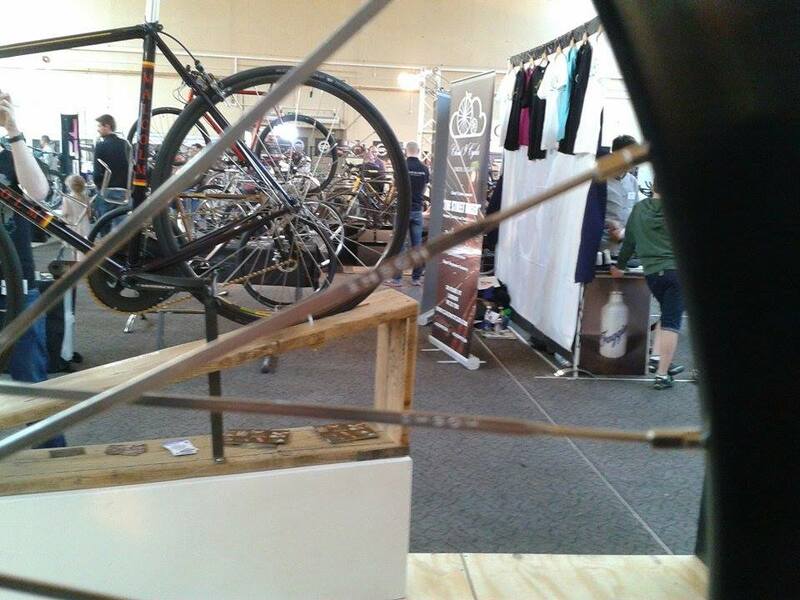 ), to check out the weird and wonderful (and wallet-walloping) custom bike-builders’ show, Bespoked 2015. The quality and funkiness of bikes on display were exceptional (wooden-framed full-suspension downhill MTB, anyone? ), but without wanting to besmirch the show too much, the slight whiff of exclusivity and one-upmanship could be seen as off-putting to those of us without £££s to drop on a carbon/titanium spaceship. Maybe a few sub-£1,000 bikes would be welcome for 2016! A dram or two of mescal later, and we were off to an evening’s BBQ with some of the great bikies of Bristol, like Christina who crushes time trials with Bristol South CC and Hattie who volunteers with Food Cycle Bristol‘s amazing work. So far, so brilliant; but here’s a cautionary tale. On Sunday, the sensible Spokers (i.e., everyone except me) headed back to Oxford on trains. 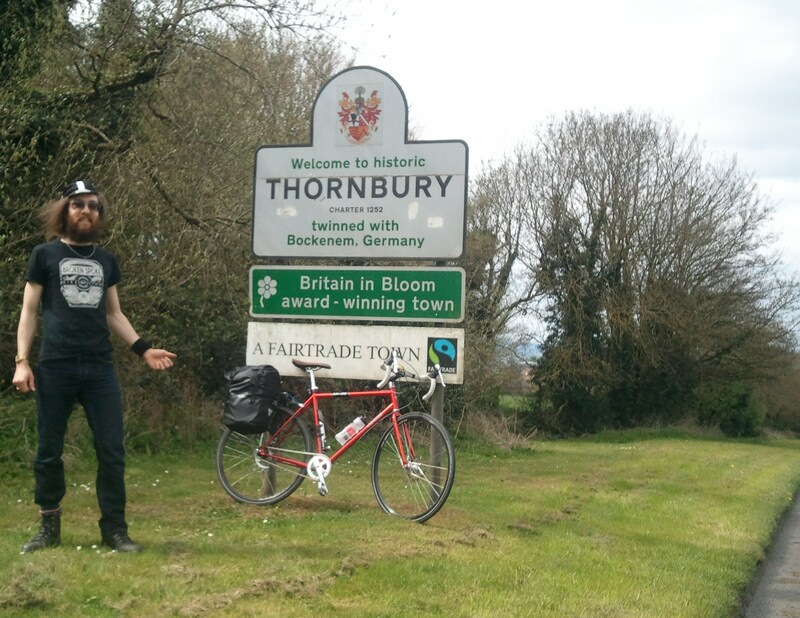 I, however, decided to cycle 54 miles into a headwind to Cheltenham (to visit my cat), via my father’s childhood home in Thornbury; and then on Monday to ride 45 miles from there back to Oxford. In my colossally heavy hiking/workshop boots. On a loaded touring bike. So, perhaps unsurprisingly, I have injured my knees and am temporarily using the bus, which certainly makes me appreciate anew how fantastic and liberating it is to have a bike in Oxford! Be careful with your knees, folks – don’t ride in heavy boots! Photo credits: all but the last two photos were taken by Karen; let her convince you to ride in competitive races on your touring bicycle here.